Operating an efficient fleet and mobile workforce that meets customer service expectations begins with proper planning for pickups, deliveries and service calls. SXnavo Route Optimization solutions gives logistics professionals the tools to maximize fleet and mobile resource utilization and efficiency. 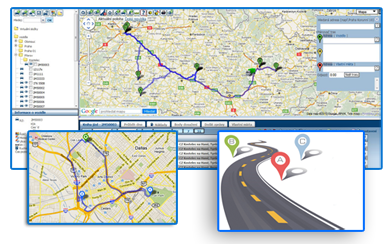 Our tools provide advanced route planning and optimization across a wide variety of planning scenarios from territories and master routes through to extremely dynamic routing environments driven by real-time demand at the point of delivery and point of sale. SXnavo Route Optimization solutions help to decrease costs, improve service, increase productivity, and reduce the environmental impact of your fleet.